"We are clearly seeing some big shifts in the way that people consume things." 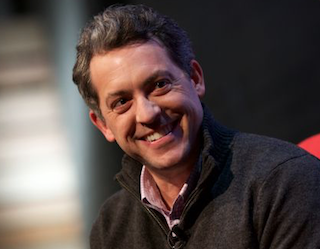 Women’s Wear Daily interviewed Vox Media’s CEO Jim Bankoff, and it’s well worth a read. Bankoff comments on a wide array of subjects, from Gawker’s recent identity crisis to how his digital-only company compares to traditional powerhouses, like Hearst and Condé Nast. Below are some highlights. If you have a culture and a workflow that is built up on one model and you have to jeopardize that culture and workflow — how willing are you to do that? It’s about real, structural trade-offs that have to be made. It might actually be a bad decision to make some of those trade-offs. One general area, however, is around programming and finding opportunities to make video programming together that would run across our platform, their platforms. I have tremendous respect for Nick [Denton] and what he has built. Frankly, he’s been an inspiration to me. I met him in my AOL days and I really admired what he was building. I will leave it at that. Gawker is Nick and he knows what to do with that company.